Steven Soderbergh’s obsession with Channing Tatum needs to stop immediately. He’s also infatuated with Matt Damon, but that, at least, doesn’t factor in here, and Damon also happens to be a far superior actor. As with Sofia Coppola and Kirsten Dunst, sometimes a director becomes too focused on a single actor, casting them in roles that never suited them, forcing them into characters that would have been better played by a dozen different, random names. Soderbergh is too focused on Tatum, and so can’t see that he’s only a marginal talent, someone who craned his neck above hunky and comedic roles one time in Foxcatcher, caught our attention, but obviously didn’t have the strength to hold the pose for very long. 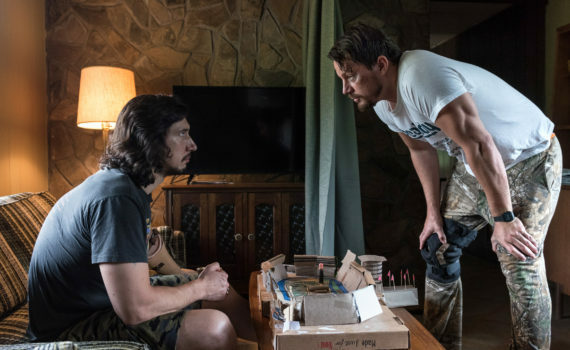 What’s more, and perhaps worse, this pairing is only one of a long list of bullet points highlighting the countless flaws of Logan Lucky, a film that I can’t believe audiences eat up and critics praise, while I immediately despised. The Logans have never been lucky, a dark cloud following their family through generations and pouring rain upon their dreams whenever a glimmer of sunshine dared to peek through. Although, to be fair, the Logans live in Nowheresville, Backwood County, West Virginia, so their prospects weren’t exactly high or their paths simple, but they have experienced their fair share of bad luck. Jimmy, who was the All-American quarterback type, blew out his knee and now has trouble staying employed. His brother Clyde did two tours in Iraq and came home minus a forearm, although he doesn’t let his missing appendage slow down his bartending skills. The Logan boys might have been born under a bad sign, but they’re no dummies, and the world better watch out if they ever truly get pissed off. When Jimmy is fired from another job, he and Clyde plan a robbery of the Charlotte Motor Speedway, but they’ll need the help of an explosives expert first, and he just happens to be in jail. No problem, not for the resourceful Logans, and the gang is on their way from rags to riches. Well, maybe. 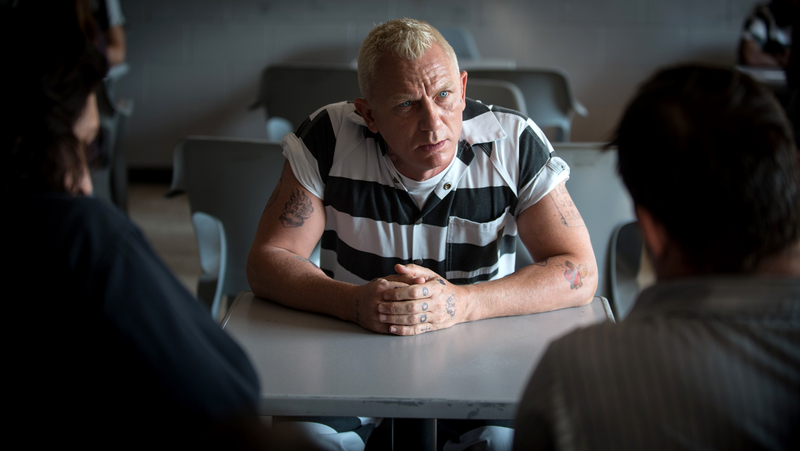 Logan Lucky is advertised as a combination of Ocean’s Eleven and Magic Mike. What shocks me so much is that, apparently, that is exactly what both audiences and critics wanted to watch. I have no idea why, since that sounds god awful to me (and this film was pretty much on that level), but I guess there’s no accounting for taste. Honestly, I don’t think Ocean’s Eleven is all that great, and don’t even get me started on the sequels or the stripper movies. When I look at his filmography, I realize that I simply dislike Soderbergh, and while I know that puts me in the minority, it’s just a taste-level thing that I can’t reconcile. Sitting down to this film, I had forgotten who the director was, and as I watched I repeatedly thought to myself, “this director is horrible, just horrible, every artistic choice is basically the exact opposite of the one I would make were I in his shoes.” It all makes sense now, but what I can’t wrap my brain around is why more critics don’t feel the exact same way. And it’s not just Soderbergh, otherwise I could just chalk it up as personal preference, I don’t like his style, it’s a me problem, I’ll just be moving along, and I’ll let you guys enjoy your movie. There are almost too many problems with this film to list, and I can’t help looking around as if I might find someone who is seeing the same terrible things that I am unfortunately seeing. First, the accents, which ought to be ridiculed the world over. Everyone was from the same region yet they spoke with a wide variety of twangs, none of which sounded at all real. You even had Seth McFarlane being British, and I literally have no clue why he was anywhere near this film. Next, not that I’m from there, but I’m offended on behalf of West Virginia. Yeah, there are some hillbillies there, just like there are in Ohio (where I am from) and so many places in and around the Appalachian Mountains, but that doesn’t mean every person living in the state is a redneck with a pickup truck. I don’t find Larry the Cable Guy funny, and I didn’t find the drawling humor in this film funny either. The pace was all over the place, the music selection was terrible, the action was absurd, and the acting was insulting, especially from Tatum, Katie Holmes, David Denman, McFarlane, Katherine Waterston, and Hilary Swank. I don’t know why there were so many cameos; they weren’t at all necessary, and it just felt like Soderbergh was desperately trying to bring the Ocean’s movies back to life. Driver, Craig, and Riley Keough were fine, and I liked the explanation of the robbery at the end, but by that point I had given up trying to like this movie. It was juvenile, silly, uncontrolled, skit-ish, and lacked a general awareness of self; I just hope I encounter someone with a similar opinion so I can assure myself that I haven’t lost my mind.